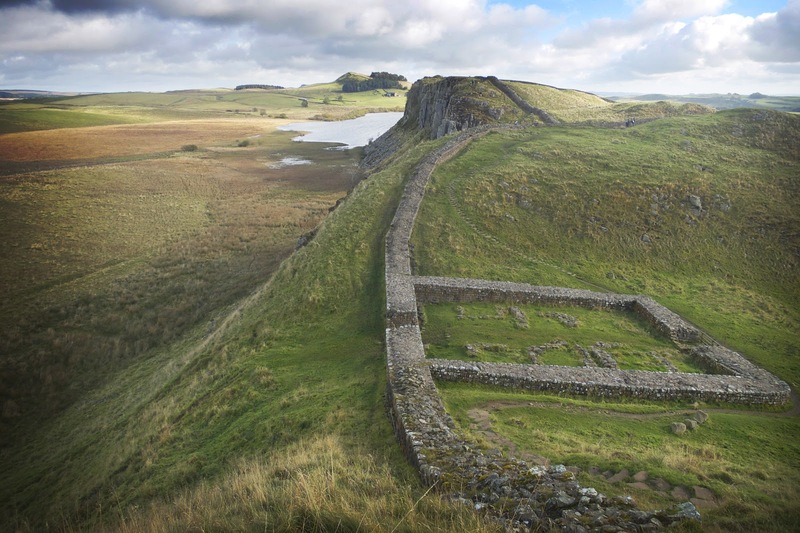 Best Hadrian's Wall walk & best views guide: Path from Steel Rigg to Housesteads, via Sycamore Gap. 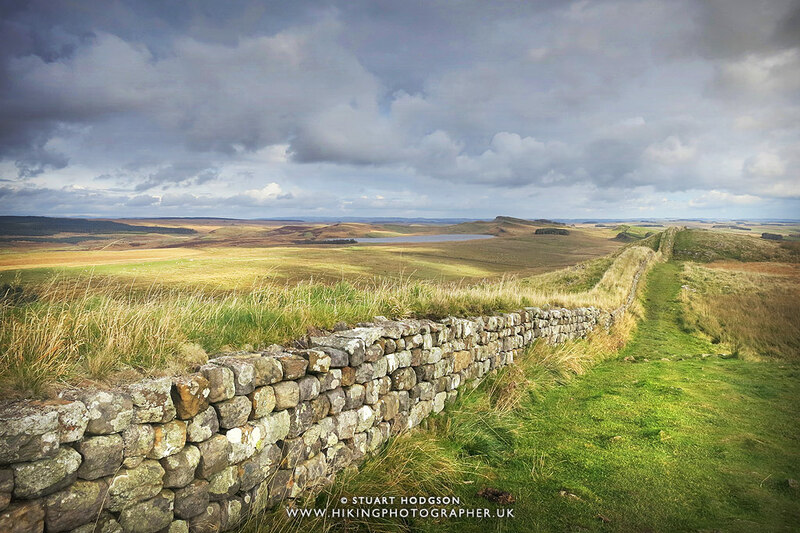 The view towards Housesteads Roman Fort, which is the best preserved Roman fort in the UK. 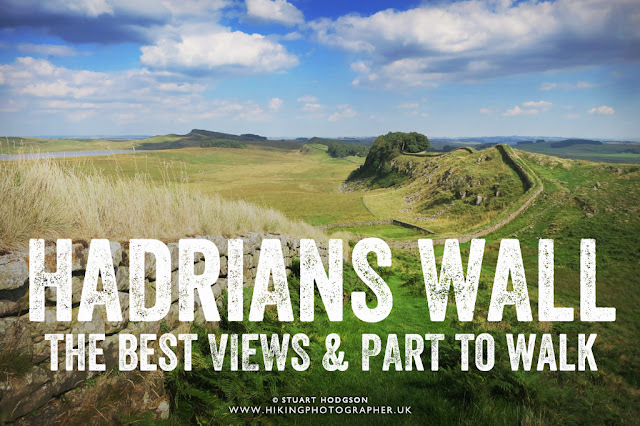 A classic and must-see Hadrian's Wall view and one of Britain's best views on this short 3 mile Hadrian's Wall walk. 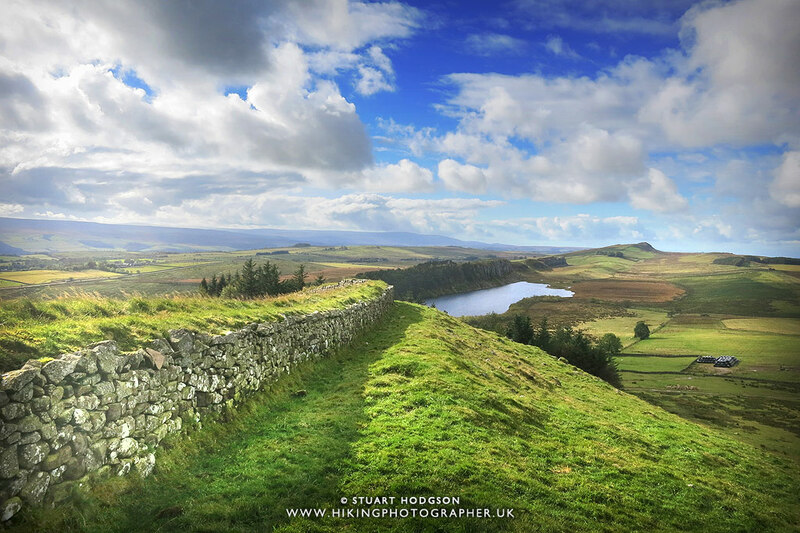 This impressive view gives a real sense of the rugged, rolling Northumbrian landscape that Hadrian's Wall covers and what a superb section of the wall it is to walk. 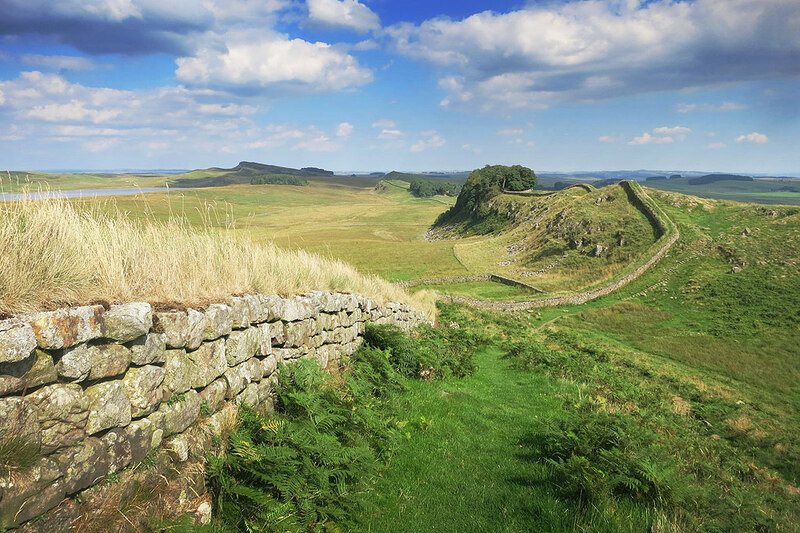 Being 73 miles long and originally stretching from coast-to-coast, it can be a bit daunting for the first time visitor knowing how and where to visit Hadrian's Wall. However, some of the best views of Hadrian's Wall can be seen in this relatively short, slightly hilly, walk of around 3 miles (if you take the frequent bus service back to the car park). (Click map image to enlarge) The Ordnance Survey map of the best Hadrians wall walk (route highlighted in yellow) - the Hadrian's wall path is identified with the diamonds on the green dotted line. I parked at The Sill: National Landscape Discovery Centre (Postcode NE47 7AN) and walked a short section of the wall from Steel Rigg to Housesteads Roman Fort, west to east. The frequent & punctual bus service (£1.20) was my preferred way to get back from Housesteads to Once Brewed! 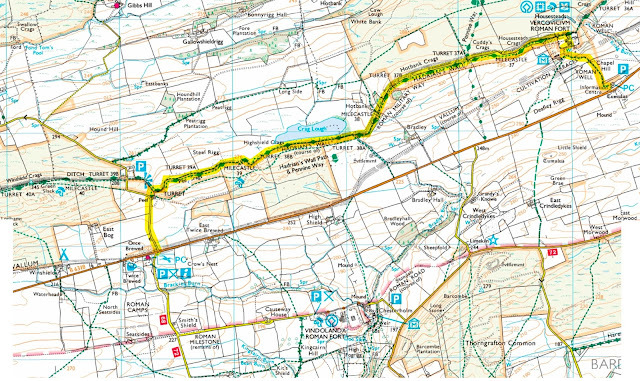 You can do a circular walk if you wish (and maybe take in Vindolanda on the way back) - but obviously this doubles the distance/time. 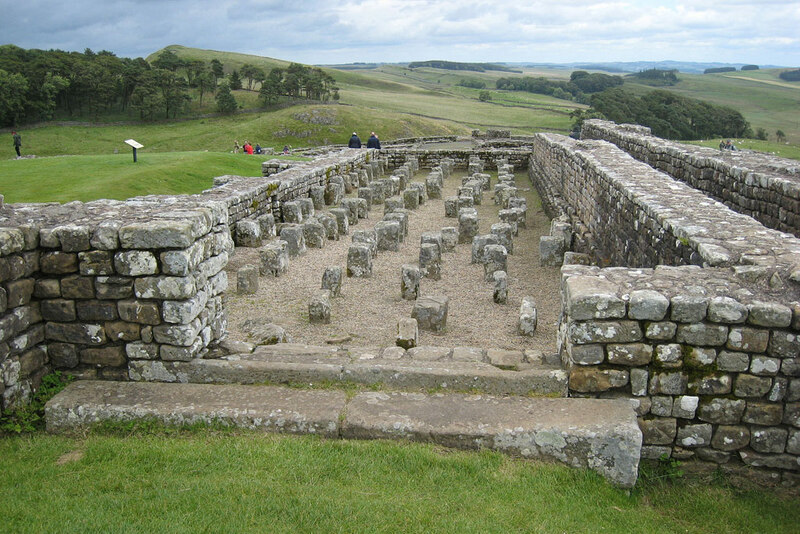 Construction by the Romans began around 122 AD under the instructions of the Roman Emperor Hadrian. 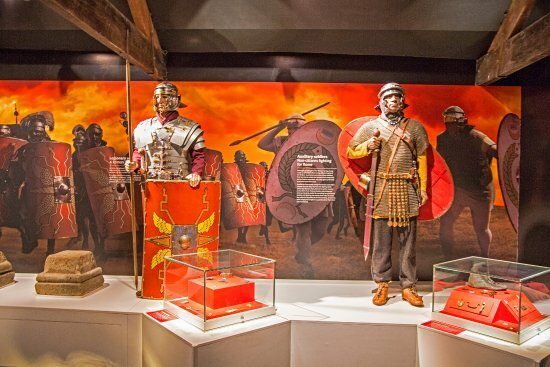 It stretches 73 miles across Northern England from the Solway Firth on the West Coast to Wallsend in the East Coast and at the time all land south of the wall was part of the Roman Empire. Apparently the wall originally was around 16-20ft high in many parts (see photoshopped image below), but now not much of it is left in terms of height - being only a few feet high in places. 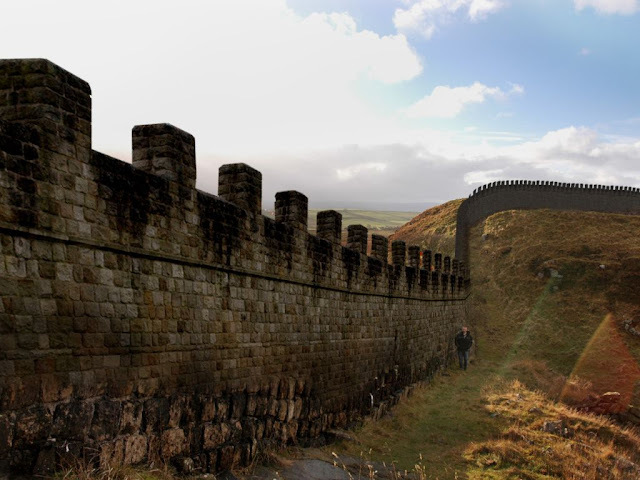 Despite popular opinion, there is still no agreement on why the wall was built, some believe it was built to keep the "Barbarians" north of the wall at bay (Scotland as a term had not yet existed - these so-called Barbarians were the Picts and the Celts). Some scholars say those north of the border where not much of a threat really and it could be more likely the wall was just built to reflect the power of Rome and how far its Empire stretched. The full Hadrian's Wall Route from coast to coast. My walk was only a very short part of this, covering the best, most scenic route, and began at the 'Once Brewed' point on the map above. 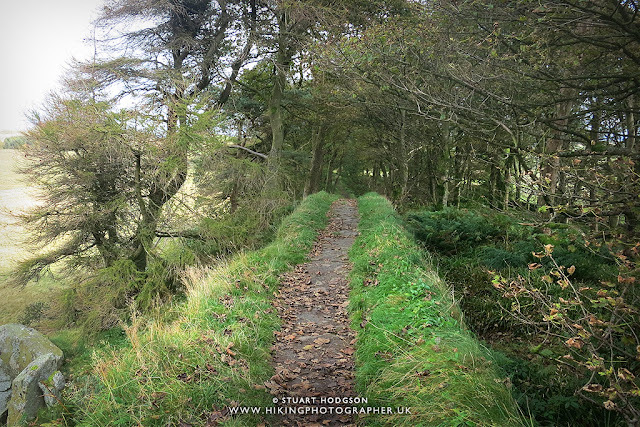 This is where we got on the actual Hadrian's Wall path at Steel Rigg and we head east. The first time we glimpse Hadrian's Wall on this walk, going up East towards Peel Crags. We would now follow a path next to the wall for just under 3 miles and you can see some of the hills you will have to walk up. 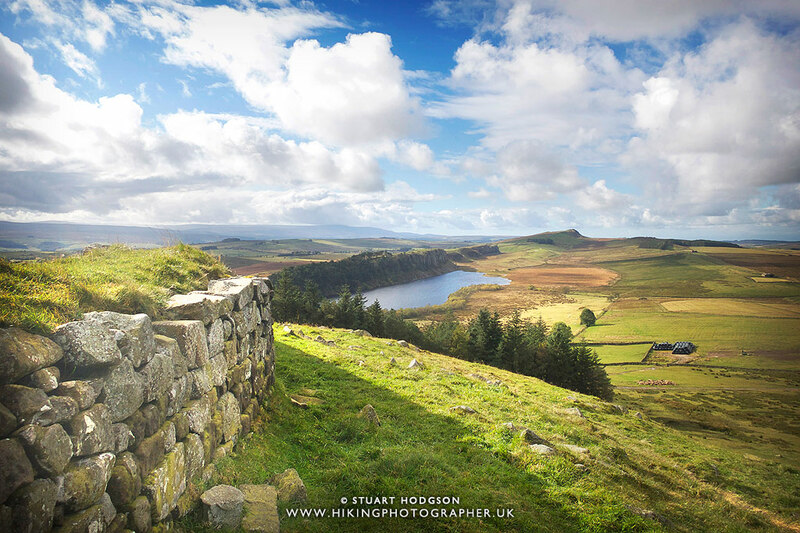 First glimpse of Sycamore Gap, one of the best views on Hadrian's Wall. One of the most popular, most photographed and best images of Hadrian's Wall is Sycamore Gap, made famous in the Robin Hood: Prince of Thieves film. Now most of us know Robin Hood was supposed to be from the Nottingham area, but I guess the director took a bit of creative license and filmed in locations all over the North of England - whilst giving the impression it was all in the same place! 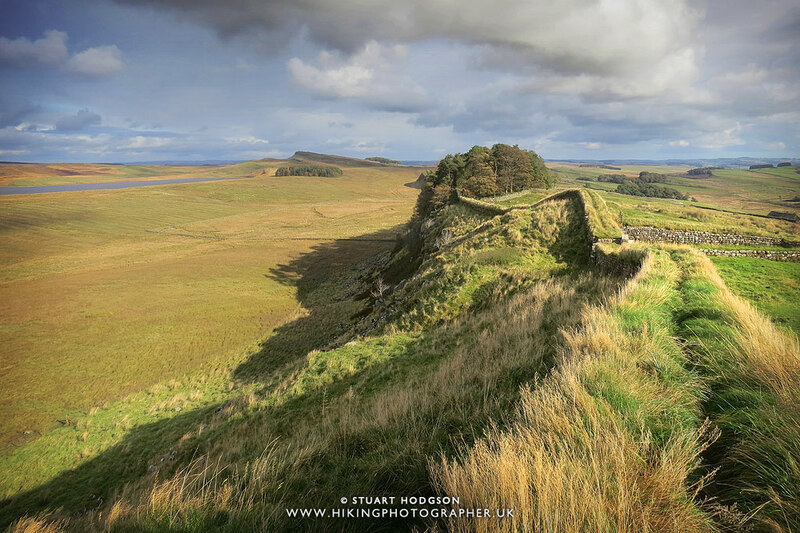 The iconic Sycamore Gap on Hadrian's Wall and one of the best views on this walk. Where is Sycamore Gap on Hadrian's Wall? 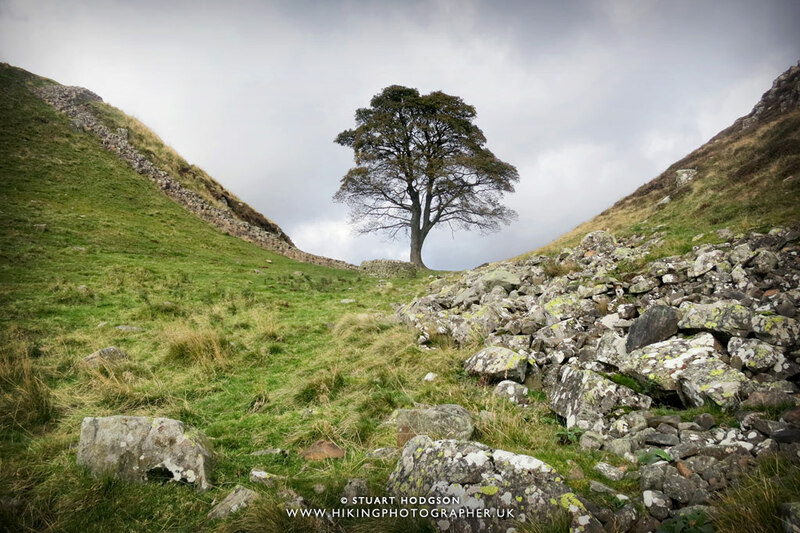 Before I had visited Sycamore Gap for the first time I had seen lots of photos of the place, but I had no idea where it was on the wall. 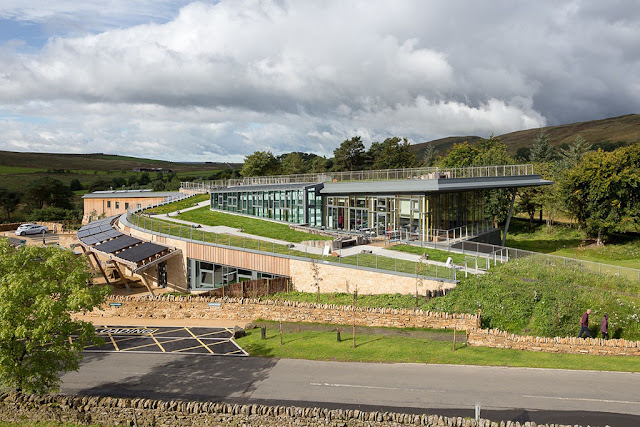 It was also hard to figure out, even searching the web, exactly where it was - so I hope to shed some light on it's location for anyone else planning a visit! Sycamore Gap is located just to the east of Milecastle 39 (maybe only 100m or so) - if you look at the map at the top of this page - Milecastle 39 is to the east of Steel Rigg - and to be exact on the map above, Sycamore Gap is actually just above the 'L' on the text 'MILECASTLE 39' - so not far at all from Milecastle 39. The closest place to park to sycamore gap is Steel Rigg car park or Once Brewed Car Park) - and it's about a 15minute walk east from these car park's to sycamore gap. Sycamore Gap is definitely a good place to stop on this Hadrian's Wall walk fro a rest and a bite to eat! 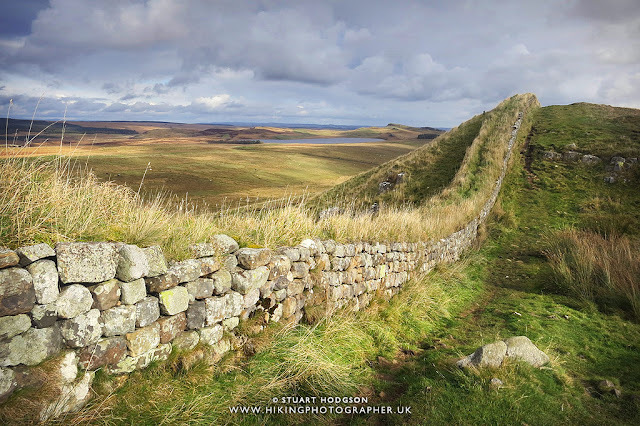 This was one of the best views of the day on Hadrians Wall and you can see pretty much the entire route the walk along the wall has covered so far. The end of this particular Hadrian's Wall walk finishes at Housesteads Roman Fort which is really well preserved and worth a good look round. Here you can see the remains of the Granary. The pillars supported a raised wooden floor to keep the food dry. 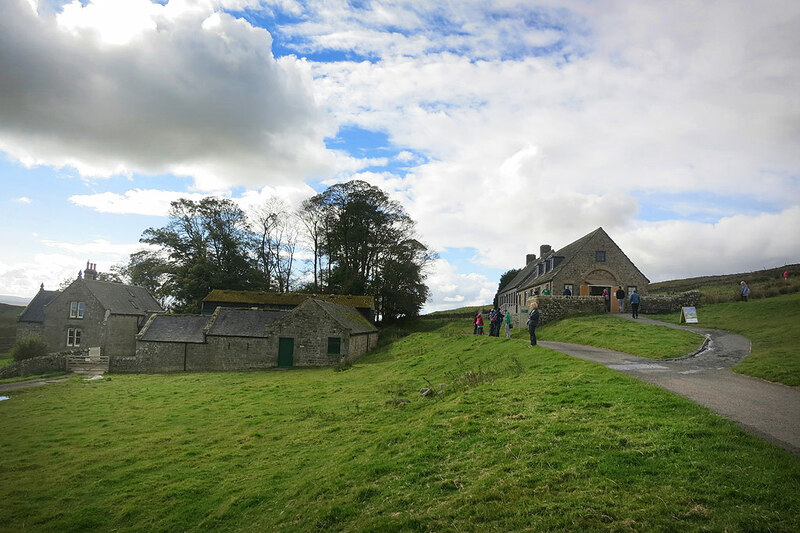 Also at Housesteads is a visitor centre and a cafe to get a bite to eat and a drink. 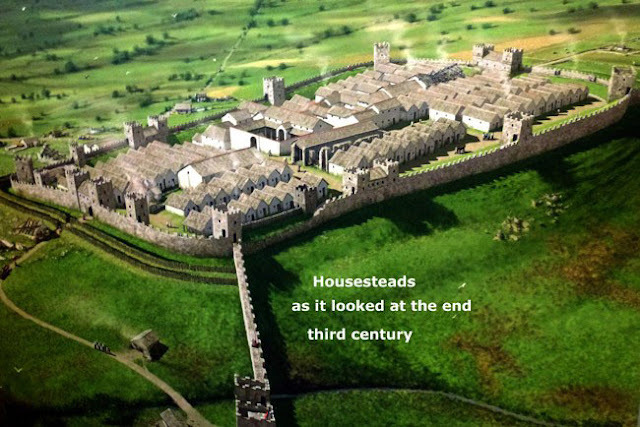 It is from Housesteads where you can also get the Hadrian's Wall bus (see details below) back to the Once Brewed Visitor Centre car park and is what we did on this walk to keep it short. 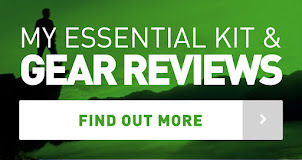 I hope you have found this blog post useful! 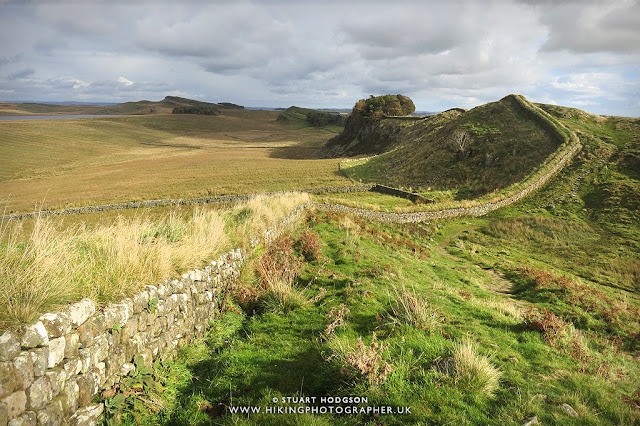 I really recommend a walk on this must-see section of the wall - as it offers in my opinion the best of what Hadrian's wall has to offer, and it's one of the best walks in England for that matter so I hope this blog post inspires you to want to visit it. 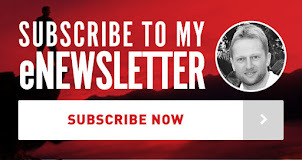 Very helpful info for visiting the wall. 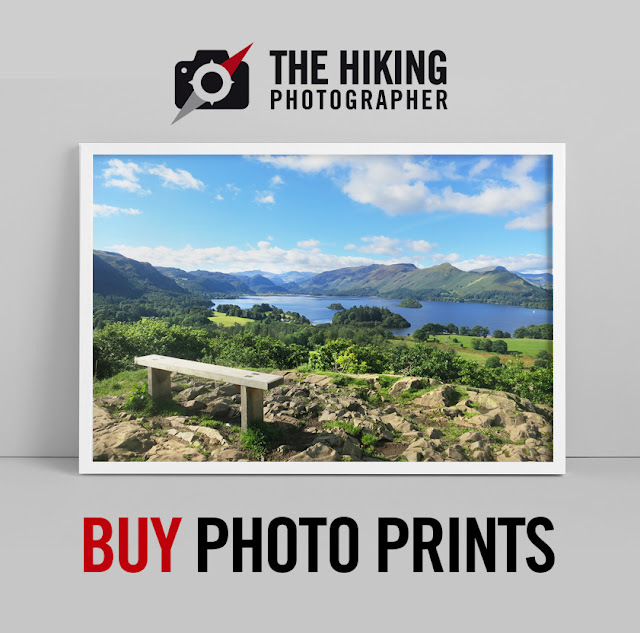 Did this walk 2 weeks ago and thought it was awesome! Searched on Google and found your page Stuart. Great photos, and now I need to go and do it again cos i walked past the tree. Good tips off here re. 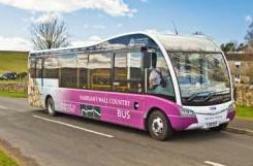 the bus and will use it next time. Glad it was of use to you Darrell. I'll try and get more walks on here! 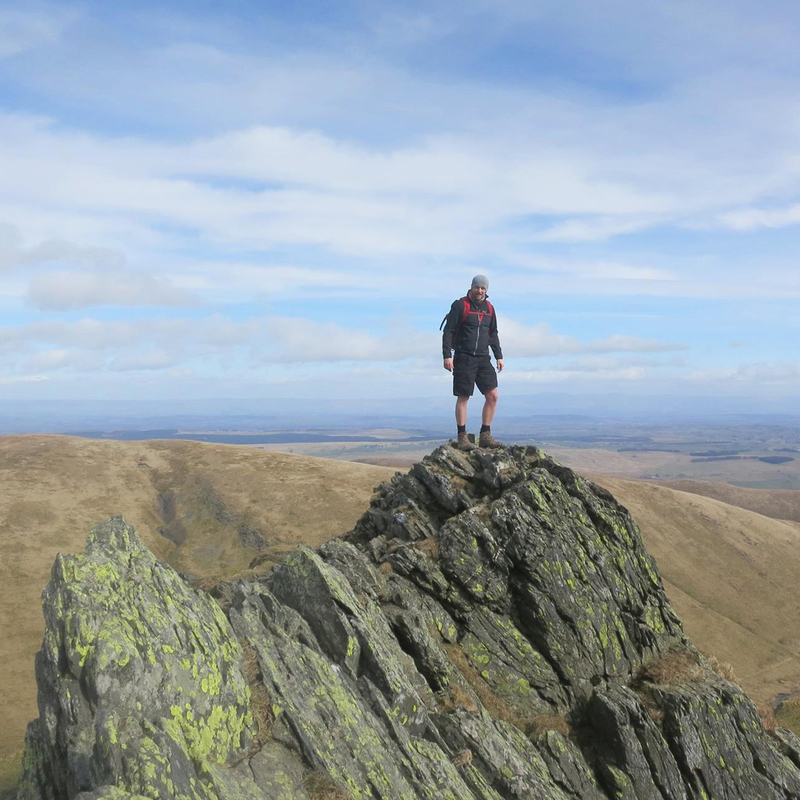 Great walk on Saturday 21st June 2015, brilliant and would love to do again some time. The car park is 4 pounds now but still good value. Glad you enjoyed it Patrick - I must do it again sometime soon too! Stuart thanks for posting this interesting info and lovely images.